Hover into position and make a daring air rescue! This detailed 2-in-1 model features a pitching main rotor, spinning tail rotor, retracting landing gear, sliding doors, opening rear cargo ramp and a winch that lowers to rescue people from danger. Rebuilds into a twin-rotor helicopter with pitching rotors and retractable landing gear…. This toy costs approximately £69.99 (for the latest and best prices make sure you check our retailer list for the LEGO Technic Helicopter 9396 above). 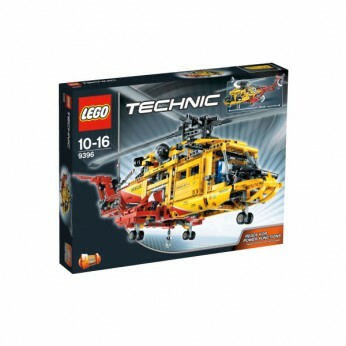 In our review of LEGO Technic Helicopter 9396 we classed it as being suitable for ages 6 years, 7 years, 8 years, 9 years, over 10 years but recommend you check the manufacturer specific advice before purchasing.